The Mustang Deluxe Inflatable PFD life jacket is a line of extremely lightweight flotation devices that will not sacrifice safety for personal comfort. The product improvements are all made with safety as well as comfort in mind. The manual inflation system makes it a perfect fit for those users that will come in contact with the water without the need for the device to become inflated until it is necessary. It has a built-in safety features that will give the wearer a little extra measure of protection. 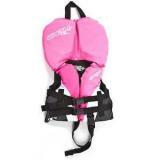 We found Amazon.com to have the best prices on the Mustang Deluxe Inflatable PFD Life Jacket. Click here to check it out. The design of the Mustang Inflatable PFD is quite simple and that is actually what makes it very effective as a life saving device. 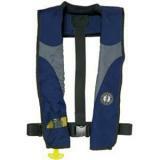 Let’s face it; many adults avoid life jackets for the most part because many are extremely bulky and cumbersome. Not a problem at all with the Deluxe, it only is inflated when necessary and the wearer is the one that does that. By pulling the manual t-handle causes the air chambers to immediately fill and provide the needed buoyancy. The design and material used in the construction of the Deluxe Inflatable PFD are used for both durability and comfort of the wearer. From the soft neoprene collar to simple over the shoulder style flotation chambers all add up to the most comfortable life vest you will find. The nylon webbing strap wraps around your waist and the single webbing strap down your back helps to keep it in place. Click here to Buy From Amazon at a 21% Discount Now! For added piece of mind, this Mustang Deluxe life jacket comes with see through indicator so you can see if the manual inflator is in a full operational state. It should be check every time before it is put on to be sure that the indicator is green. If it is not green then you cannot be sure that it will inflate if you need it. With its lightweight design it is easily worn over clothes and that includes a jacket. When worn over a jacket you will still have enough mobility to do whatever type of activity you have planned. The durable and very rugged nylon construction means that it will last for quite a while. 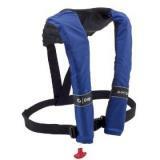 After looking at a lot of reviews posted online for the Mustang Deluxe Inflatable PFD it has be one heck of a life vest. So many of the comments were extremely positive. One of the reviewers really loved how comfortable it was wearing it for an extended amount of time without any irritation on their neck. 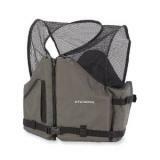 Another reviewer liked the fact that it is manually inflated so they can use it while fishing. Another reviewer liked the piece of mind having the indicator window, so they could see if it was safe to use. 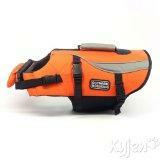 I was not able to find a single negative comment about this life vest. Click here to read more reviews. For that reason I would highly recommend the Mustang Deluxe Inflatable PFD for anyone looking for very comfortable life vest. Click here to check it out. 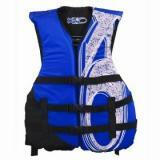 How would you rate the "Mustang Deluxe Inflatable PFD Life Jacket"?